This is not just a novel. It’s poetry, it’s memory. It’s a testament to Black girlhood. 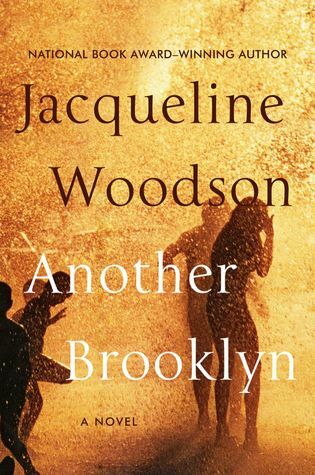 With events written in non-linear, prose style, Another Brooklyn is the story of August, a young academic who travels to her Brooklyn home to attend her father’s funeral. She runs into an old friend on a train and from there, you are transported back to specific memories of August’s childhood in the 1970’s. Brooklyn, we learn, was a place where she found the friendship of three other Black girls, each from a different home situation. There are memories of growing up without a mother, of DJ parties, of first love, and so many other things that to describe them all is to give this book away and not let you experience this great novel for yourself. My only complaint was that this book was not long enough. It’s a short (less than 200 pages), but I could have read Woodson’s gorgeous prose for another 200 pages, that’s how great this book is. Another Brooklyn deserves all of the Top Ten lists and press it’s getting. A must read!